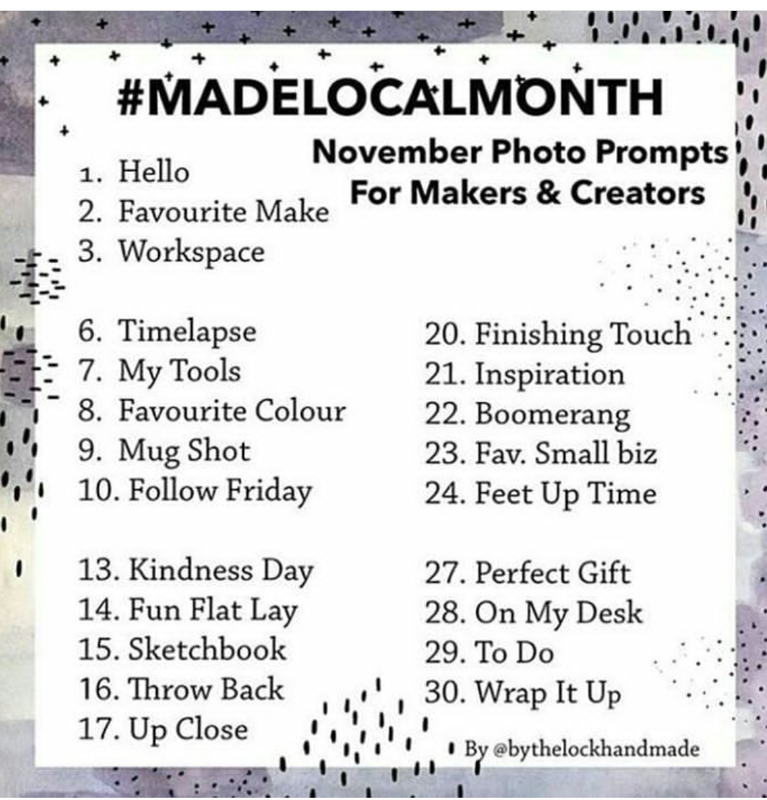 The aim of Made Local Month is to allow creators and crafters to showcase what they do and take some of the limelight away form the large multinationals and shine it on local, independent, small businesses especially those within the creative, hand crafted industry. 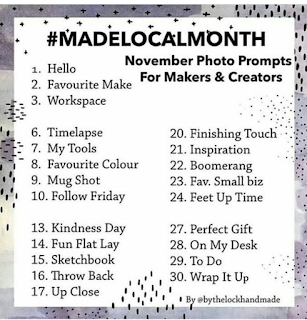 We will be taking part and posting each day throughout November (although you do get to take weekends off - even independent business owners need a break now and then). Some of our posts will be papercraft focused and others will be showcasing our business and other crafts and products that we make for our customers. If you want to take part all you have to do is start posting and remembering to use that hashtag also perhaps most importantly be sure to search the hashtag and support other small businesses and creators who are taking part by following and commenting and sharing. The first day (today) was hello day, so the idea is to just introduce yourself, something we don't get much space to do on Instagram with limited bios and something we often forget to do to our new followers or potential new followers. So put together an image or short video and get it posted and show what you do, say hello to the Instagram community and get involved if it sounds like your kind of thing. Challenges like this often push us to create content even a photograph each day and keep us focused on networking and communicating with the world which contains lots of support, useful critique and potential customers all of which are beneficial to our business. Have fun and hope to see you around on Instagram.